Cynicism often creates blind spots which distort vision. Of late Sabah political scenario seems to be hugely afflicted by this malady which is going undiagnosed. Heart-warming developments emerging from various parts of Sabah are being clouded by the dust of allegations of corruption and malfeasance of gargantuan proportions in governance. It was reported widely that Switzerland’s Attorney General has opened a criminal investigation into the country’s largest bank, UBS AG, over suspected money laundering of about S$38 trillion which includes US90 million of timber corruption proceeds from Sabah. The case against UBS was opened on August 29, following a criminal complaint by the Bruno Manser Fund over the bank’s close ties with Sabah Chief Minister Musa Aman. The existence of the investigation was confirmed on August 29 by the Office of the Attorney General in the Swiss capital, Bern. 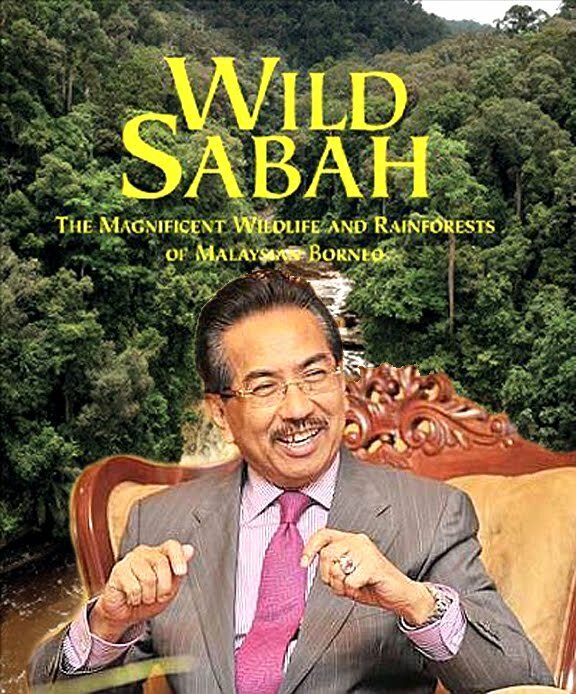 The Bruno Manser Fund accuses “Musa Aman and his nominees” of laundering more than US$90 million of corruption proceeds from the tropical timber business in Sabah, Borneo, through a number of UBS bank accounts in Hong Kong. The Bruno Manser Fund alleges that Musa Aman “has personally benefited from the large-scale logging” of these rainforests near the Danum Valley. The Swiss government reportedly said that it was ready to freeze Musa’s accounts in Switzerland if the Malaysian authority made a request for legal assistance. These allegations however sounds very Dan Brown, singling in on the conspiracy theories. One such positive development comes from this whole accusation. Sabah Forestry Department director Sam Manan is an internationally celebrated forest scientist. In his current assignment as adviser on forestry to Sabah chief minister Musa Aman, Sam has been focusing on good forest practices in the state. And he has an interesting story to tell. Despite being hit by accusations of rampant illegal logging of its forest, the state is all set to post an increase of about 20 percent of Sabah’s total land area under the totally protected area (TPAS) reserves reaching 1.3 million hectares exceeding even the IUCN (International Union for Conservation of Nature) standard of 10%. By all yardsticks, this is not only unprecedented but phenomenal too. How has this miracle become possible? 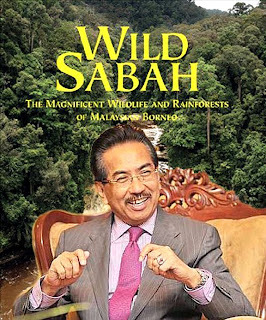 Sam explains it very succinctly, “Perseverance and desire at the top.” Musa Aman has been consistent in his approach to reduce the dependence on timber revenue soon than later, ever since taking over the state as chief minister in 2003 and this was his agenda. The forest revenue is about RM150 million a year today as opposed to RM500 million to RM1 billion in the past. His objective is simple: to ensure that the forests are given a chance to recover. And according to Sam, the money Bruno Manser Fund is alleging about is a US$90 million “nest egg” purportedly derived from widescale illegal logging activities in Sabah. This amount of US$90 million , if indeed true, would mean that not less that one million m3 of timber have been illegally felled. That represents plundering of at least 20,000 hectres (50,000 acres) of well-stocked forest. This scale of logging would then represent 50% of the timber produced from natural forest in 2011 or about 30% of Sabah’s timber production in 2010. Sounds rather ridiculous and far fetched this whole US90 million story. If anything, a badly logged well-stocked forest of 20,000ha would have been easily detected by satellites and attracted the attention of NGOs, environmentalists and the communities living nearby. Besides, the enormity of the alleged extent of illegal felling [1 million m3] could not have escaped the attention of the world. So, no way could such acts be committed and passed without notice. Also, if 50% of the annual production of timber from Sabah was alleged to be illegal, world markets especially sensitive ones like Europe, North America and Japan would have long ago stopped buying timber from Sabah. This enormous economic and financial implication would have been so harmful to the state as a whole and the state budget could have gone topsy-turvy. Musa Aman worked overtime with the forestry to improve on good forest practices and continue to attract the attention of certifying bodies and NGOs, who want to be partners and to assist Sabah in obtaining veritable and certifiable good governance. Under his leadership, SFM [sustainable forest management] had improved by leaps and bounds. Short-term licences that caused tremendous damage to the environment were being drastically phased out and Sabah’s forest management credibility is now at its highest.Sabah now has an open-book philosophy whereby, logging and forest management areas are all open to third party and NGO scrutiny. Currently at least 800,000ha of Sabah’s forests are partially or fully certified under various internationally recognised system such as FSC (Forest Stewardship Council), MTCS (Malaysian Timber Certification Scheme) and PEFC (Pan European Forest Scheme). This included the 250,000ha of fully certified and 150,000ha of partially certified forest areas under the Sabah Foundation. In fact, many more forest areas are being earmarked for certification as Sabah has set 2014 as the year for all long-term licensed areas to be fully certified.The process of certification means independent third party is on the ground auditing to assess credibility. Musa has created model forest centre and ensured that the forest in Sabah will never be “raped” like in the past by unscrupulous people. At the same time, there has been a consistent effort to educate everyone involve in the timber industry about good forest practices without disturbing the forest.This endeavor, carried out silently, is about to bear fruits now, an indication that Sabah’s forest are well run. And the spill-over effect is evident by the wildlife corridor linking Maliau Basin, Imbak Canyon to Danum/Ulu Segama and the re-classification of Ulu Segama (130,000ha) to total protected status. As The Duke of Cambridge Prince William and Lady Catherine Middleton prepares for a visit to Danum Valley on the 15th of September, a testament to their longstanding interest in conservation, we should perhaps see this as an indication that the rumours of deforestation and illegal logging is not true. Why would Musa allow the Royal couple into Sabah if the home to some of the last remaining areas of tropical rainforest in South East Asia were indeed in dire straits? In fact, Sabah has been uniquely placed in Malaysia’s context. Given its good forest practices, pressure on forest is intense. Timber revenue was a major source of livelihood in absence of industrialisation. Perhaps Sabah stands out as a paradox in the Malaysia Shining story. Still the state has been consistently growing at the rate of over 8 percent, one of the highest in the country. There is no doubt that much of this growth comes from the state spending on social welfare schemes and building up of infrastructure. By economic standards, Sabah virtually offers an inverted model of growth inconsistent with the overall growth narrative. Musa aman has been making all-out efforts to inject buoyancy in rural market by improving agriculture and tourism. Perhaps he seems to be aware of his handicap that the timber from the forest is getting too scarce and priced to be given for industrial growth. That is why he has been insisting on reducing the dependence on timber to save the forest for future generations. Similarly he turns to be an environmentalist when it comes to allotment of mining rights in and around Maliau Basin. Sabah is firm that no mining activities should take place in first class forest reserves and protected areas such as the Maliau Basin in the south central part of the state. “No mining can be allowed in Maliau Basin,” he told Datuk Lim Keng Yaik when requested him to open coal mining to give fillip to growth. And then the Sabah government’s decision to bar any development on the seafront totalling 1,555ha from Tanjung Aru to Likas Bay through the Land Ordinance (Amendment) 2012 Bill, approved by the state assembly in July 2012, was a significant and bold move, and motivated by the need to protect the marine ecosystem. On the face of it, Sabah appears to be posting a growth which is not sustainable if one believes in prescriptions of neoliberal economists. But there are enough straws in the wind to suggest that Sabah is on the cusp of defying this theory and evolve a new model which may be far more inclusive and environment-friendly than the existing models. If Musa Aman’s growth story proves to be true, this innovative model is bound to fuel an intense political and economic debate in the country. So the allegations are therefore baseless and made with bad intention to discredit the sacrifices made by Musa Aman’s state government to achieve good forest governance and SFM [sustainable forest management in the shortest time possible, despite the economic financial and social challenges. skandal balak melibatkan Musa yang hangat diperkatakan sekarang hanya merupakan isu yang dikitar semula dan dijadikan bahan untuk dipolitikkan oleh pihak pembangkang. disebabkan tuduhan rasuah melibatkan datuk Musa Aman itu hanya isu kitar semula, maka terpaksalah pihak2 yang buta mata ini menibulkan isu pembalakan di Sabah walaupun mereka tahu pembalakan di sabah sangat terkawal..
lawatan william dan kate ke negeri ini adalah tamparan hebat kepada pihak2 yang menuduh pembalakan di negeri ini tidak terkawal.. jika hutan di negeri ini sangat kritikal, rombongan diraja ini tidak akan menjadikan sabah sebagai destinasi lawatan mereka.. The royal couple wouldn't visit Sabah if Danum Valley is not a success in conserving the rain forest. The royal couple's visit in Danum Valley's research center is a sign of acknowledgement about our forestry protection effort. These baseless allegations are just bad intention to discredit the sacrifices made by Musa Aman’s state government to achieve good forest governance and SFM, the people are smart enough to believe that. Hope that Yayasan Sabah will continue to their great effort in Danum Valley research center.